I woke up this morning and it was there again. Over the 60 years since my sexual abuse started it has happened many times, although less frequently as my healing has taken place. I refer to the sensation of being sodomized. It is one of the reminders of uglier times. For decades the sensation triggered fear, anxiety, rage, and an appetite for vengeance. Today I feel none of those, only a renewed commitment to my participation in programs to protect children and help adults heal form the evil of childhood sexual abuse. I received a comment a few days ago from anonymous that I felt so powerful I wanted to make certain everyone had a chance to read it. It’s longer than our normal posts, so we’ll post it in two parts. This is part 2. I told them it was too upsetting to talk about so they agreed to leave me alone but they wanted me to stop drinking. I was conflicted. Drinking was the best way I knew to deal with pain but I could no longer trust myself to keep my own counsel once I blacked out. So I tried to control it. It was very, very hard and I often made excuses to slip away from people so I could drink alone without disappointing them or making any unplanned confessions. Roughly a year later I had my first manic episode (with psychotic features) and I finally got professional help. Getting sick like that was terrifying, but at least I finally got help: medication and talk therapy. It took a long time to find the right combination of medications and it was rough, but the upside to that was that I had to stop drinking. Once I did find the right combination, my tolerance for alcohol was so much lower than it had been that I couldn't have drunk the way I used to if I wanted to. I still can't. And I am incredibly grateful. I couldn't really talk to my psychiatrist about the abuse until my symptoms were under control and even then I was hesitant...but she had already helped me so much that I hoped she could help me with "IT." She could and she did. It is not over yet and I am not all better yet (not by a long shot) but I finally understand that what happened was not my fault AT ALL. It was my abuser's and my abuser's alone. I was not complicit in the act. I was afraid and uncomfortable, but I finally broached the subject with my parents: sober and sane. We didn't say too much but I know that they love me and they don't blame me. No one I've told does. If something like this has happened to you, please don't try to bury it as long as I did. I spent so much time and energy keeping my secret that it blew up in my face and it almost killed me. You do not have to let it get as bad as I did, but if you already have, it is still not too late. Make an appointment with a psychiatrist or a trained therapist. They will help you and they are morally and legally bound to keep your private business private unless you are actively homicidal or suicidal. I received a comment a few days ago from Anonymous that I felt was so powerful I wanted to make certain everyone had a chance to read it. It’s longer than our normal posts, so we’ll post it in two parts. I was sexually abused at such a young age that I honestly had no words for what had happened. I was traumatized and deeply unhappy but I didn't say a word because I felt sick and ashamed. I was as afraid of myself as I was of my abuser. A few years later I realized exactly what had happened and I was furious and mortified. I was never, ever going to tell a soul as long as I lived. I tried to kill myself when I was 21 with a combination of vodka and painkillers, but I told my parents that it was an accident and they believed me. I had begun to drink heavily in college and kept it up after I graduated, so it did not require a great leap of the imagination to picture me getting too drunk to know what I was doing. In two seperate drunken stupors, I told both my boyfriend (I'm a woman and I hope that's okay!) and my best friend what had happened. I remember telling my boyfriend but I told my best friend while I was blacked out. One morning I woke up in her bed with her sitting next to me. I had shown up the night before and told her everything. She said I kept repeating that I was "so sorry" and that I wished that I were "normal." Over and over again. Sorry, sorry, sorry. Normal, normal, normal. My boyfriend dumped soon after, largely because of my drinking. I was miserable, so what did I do? I made drinking a daily activity. My friend and I went to a club one night and I got so drunk I blacked out yet again. She took me home and I told my parents what had happened to me that night. I still don't remember it, but I woke up the next morning and they wanted to talk about it. 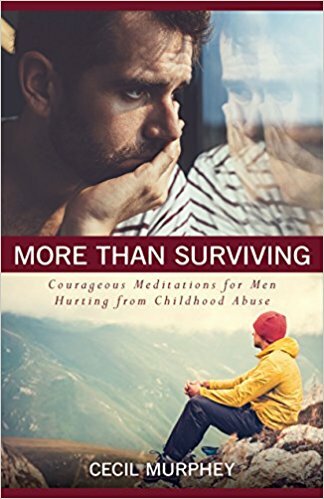 I am writing a book about domestic violence that focuses on men who are physically, verbally, and mentally abused, and the women who abuse them. I'm currently seeking stories from men or women who are or were involved in this type of situation. If you're willing to share your story through your own words or through an interview, or know someone who is, please email me: tracyruckman@yahoo.com. I will protect your privacy. I handled my abuse with amnesia (a form of denial) and was fifty-one- years old before the first memories trickled back to my consciousness. As the painful memories emerged, my wife held my hand and my friend David gave me his shoulder. They encouraged me and infused me with confidence to speak about my molestation. * I talk about it to others; why should I have to bring in my siblings or my kids? * They probably won't believe me. I lived and grew up in a dysfunctional family. We didn't talk about secret things. When I was growing up, my family didn't even use words like pregnant. My mother would say, "She's that way." Her emphasis on those two words made it clear to me what she meant. It also reminds me of the way life was in those days. A thought came to me one day. Perhaps speaking to my siblings would bring healing for all of us. Perhaps all of us could face our painful childhood—even though our issues were not the same. Most of all, I admitted to myself that if I opened up, it would help me. 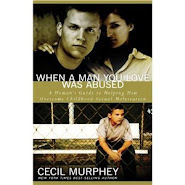 By the time I was able to face my abuse, my parents were dead, and both my abusers were dead. I opened up and truly shattered the silence. To my surprise, my three surviving siblings understand what I went through. "Have you told anyone?" I asked the twenty-year-old man. He shook his head. "Only you." He went on to say, "They wouldn't understand." He referred to his family. He shrugged. "It wouldn't do any good. They won't believe me." Our conversation went on for a full minute before he admitted he was afraid to tell his family. I pleaded with him to speak up—but only when he was ready. "We have a term called 'the conspiracy of silence,' which means that no one in the family talks about it. No one admits the horrible, shameful acts. The suffering continues." "It was no big deal for you, but to me—"
"It took me seven years to speak up," I said. "That's right. And the longer we wait to tell anyone, the easier it is to pretend it didn't happen. Or to convince ourselves that it's not important." My response surprised him because I talk openly and easily about the issue of male sexual abuse. I keep talking about it to help others—and to help Cec—get to the other side, which is freedom. Deliverance. Total victory. I'm still on the road to healing. "Even so," I told him, "shattering the conspiracy of silence was one of the biggest, most positive steps I ever took." "I can make sexual abuse an idol," Gary Roe wrote to me. "I can elevate what happened to me into my god and empower it with responsibility for everything that goes wrong. I can let it define me and control everything I do. I can allow abuse to sink me, entrap me, and crush me. We're shaped by our experiences. What happened to me affects every relationship I have—even if I'm not aware. * Does my background define me and keep me defined? * Does the past determine my future? I know there are positive answers for me; I know because I'm healing. I've come a long way. More healing has to be done. Lots of it. I'm not quite healed. Sometimes I think I'm not anywhere near healed. Abuse causes most of us to end up with little self-esteem (although some become braggarts or bullies to hide the truth). Because we were overpowered as children, control is often a big issue for us as adults—fighting for it or surrendering to those who threaten us by their words or presence. Because someone we trusted betrayed us, many of us are slow or unable to trust others. We may freeze when someone unexpectedly touches us. Some of us slide into substance abuse to deaden the pain. Sexual dysfunction is common. That's not an exhaustive list, but I mention them because they're symptoms of long-term issues. Even to be aware of them isn't a cure, but it's like a doctor analyzing our disease and prescribing the medicine. I'm not quite healed, but I am being healed. At the beginning of our recovery, we may assume full healing is imminent —which I did—because we're unaware how severely we've been damaged or don't realize that our wounds have been festering for years. For many, the abuse took place during a short period of time. It could have been a one-time assault or something that happened repeatedly for three or four years. Regardless of whether once or forty-six times, the molestation worked like an undetected virus that invaded our souls, went systemic, and infected every part of our psyche. Among other things, abuse destroys our ability to see ourselves as we are. How could healing not be difficult and time-consuming? The core of our being is at stake. We need to fight, not just for ourselves, but for our families and others around us who’ve been touched by the abuse we endured. Our abuse took place in secret, and it happened when we were young and innocent. We lived with our hidden pain for years. I turned fifty-one before my memories flooded over me and forced me to learn to cope with my painful childhood. Here's a statement I've adapted from Voice Today, an organization that works with survivors of sexual molestation. 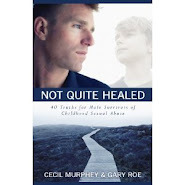 A victim of childhood sexual abuse feels pain for the rest of his life. You may challenge that last phrase, "for the rest of his life," but I believe it's true. Terrible things were done to us and it takes a long time—years—the rest of our lives--to work through the process and to undo the damage. All our lives is accurate because the damage is deep and it's painful.